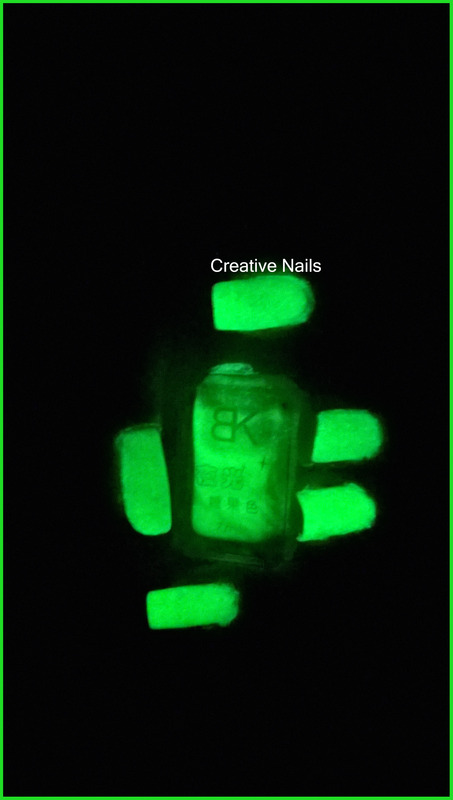 Glow In The Dark – Neon Glow Nail Polish!! Creative Nails is excited to share today’s post. When I was browsing online, this interesting nail polish caught my attention and without wasting any more time, I bought it from Born Pretty Store. And here I am with this special polish to amaze you all!! When you were a kid, you might have seen neon glow stickers which glow in the dark. 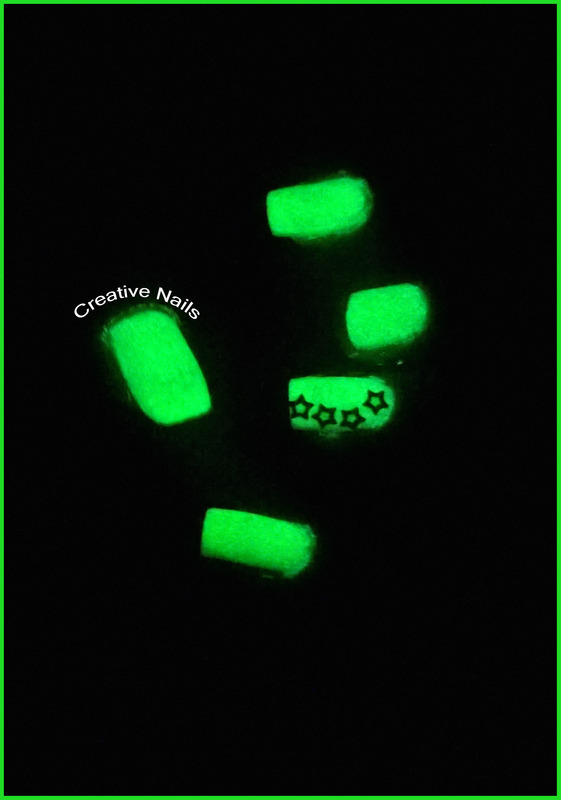 Now you can have the same glow on your nails using this amazing “Fluorescent Neon Luminous Nail Art Polish”!! Step 2: Apply fluorescent neon luminous nail polish. Let it dry. Step 3: Apply two more coats of the same nail polish. Step 4: Apply clear polish as the topcoat. Step 5: Expose your nails to sunlight or any other light source. And you are ready to illuminate the party!! I tried sticking some mylars on as an experiment and to my surprise it looked great! Hope you liked it too! Enjoy nail arts with Creative Nails!! ← One Year Anniversary of Creative Nails!! How did you get such nice shots of your polish? I love wearing glow polish, but can’t get it in a picture very well. Initially even I dint get bright and perfect shot but then I exposed mani to light for long time and made my room complete dark. Then focused camera lens that’s all! !